You'll be £19.99 closer to your next £10.00 credit when you purchase A Subaltern's Lament. What's this? Vienna 1954, nine years after the end of World War II and the victorious allies occupy the whole of Austria. At nineteen he finds himself not only learning the tough art of soldiering alongside his platoon of Battle hardened Korean War veterans but is also exposed to the political machinations that exist between Britain and her Allies. Vienna in 1954 is a dangerous place and in addition to honing his skills as a warrior he is trusted to act as a go-between when a senior KGB officer plans to defect to the west. He also falls in and out of love with an American girl and faces the choice of either just completing two years national service, or becoming a regular officer. 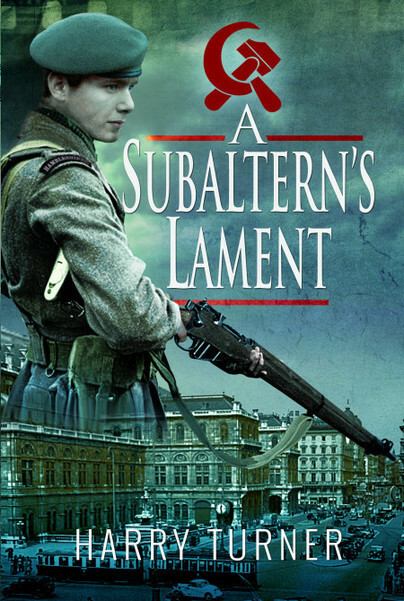 Vienna 1954, nine years after the end of World War II and the victorious allies occupy the whole of Austria, newly commissioned national serviceman and Fulham boy, Rory Trenchard, joins his regiment, The Hambleshires, in Vienna at the very height of the Cold War. At nineteen he finds himself not only learning the tough art of soldiering alongside his platoon of Battle hardened Korean War veterans but is also exposed to the political machinations that exist between Britain and her Allies. Vienna in 1954 is a dangerous place and in addition to honing his skills as a warrior he is trusted to act as a go-between when a senior KGB officer plans to defect to the west. He also falls in and out of love with an American girl and faces the choice of either just completing two years national service, or becoming a regular officer. An usual and inherently fascinating memoir that is impressively well written, organized and presented, "A Subaltern's Lament" is a very highly recommended addition to community and academic library 20th Century Military Biography & Memoir collections.